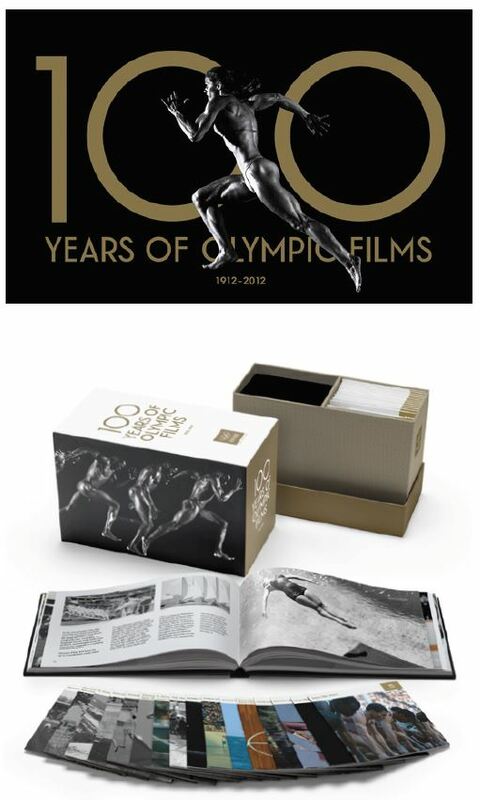 Criterion Releases 100 Years of Olympic Films!!! 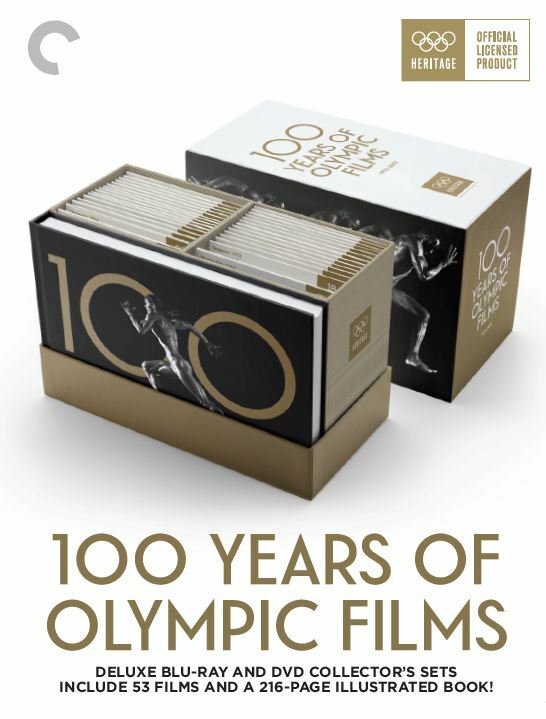 We are pleased to announce Criterion’s upcoming release of ‘100 Years of Olympic Films‘. The films consist of fifty-three titles and forty-one editions of the Olympic Summer and Winter Games, a century’s worth for the serious collector. This monumental, award-winning archival project includes dozens of new restorations by the International Olympic Committee. The deluxe Blu-ray and DVD collector’s sets include 53 films and a 216-page illustrated book, all released December 5, 2017. These documentaries cast a cinematic eye on some of the most iconic moments in the history of modern sports, spotlighting athletes who embody the Olympic motto of “Faster, Higher, Stronger”: Jesse Owens shattering sprinting world records on the track in 1936 Berlin, Jean Claude-Killy dominating the slopes of Grenoble in 1968, Joan Benoit breaking away to win the first-ever women’s marathon on the streets of Los Angeles in 1984. In addition to the work of Bud Greenspan, the man behind an impressive ten Olympic features, this stirring collective chronicle of triumph and defeat includes such landmarks of the documentary form as Leni Riefenstahl’s ‘Olympia‘ and Kon Ichikawa’s ‘Tokyo Olympiad’, along with lesser- known but captivating contributions by major directors like Claude Lelouch, Carlos Saura, and Milos Forman. It also serves as a fascinating window onto the formal development of cinema itself, as well as the technological progress that has enabled the viewer, over the years, to get ever closer to the action. Traversing continents and decades, and reflecting as well the social, cultural, and political changes that have shaped our recent history, this remarkable marathon of films offers nothing less than a panorama of a hundred years of human endeavor. Lionsgate Releases ‘Acts of Violence’ To Home Video! Get Your Copy Of ‘The Girl With All The Gifts’ Blu-ray Combo Pack!!! This entry was posted on Thursday, August 10th, 2017 at 2:35 pm	and is filed under Events, Film, News. You can follow any responses to this entry through the RSS 2.0 feed. You can skip to the end and leave a response. Pinging is currently not allowed. « Netflix To Gain Western Series From The Coen Brothers!!! [sighs] Get out of my chair!